Front Row, from left: Dakota Cline, John Kutteh, Wade Cline, Nathan Smith, Craig Cerrito, Daniel Brewer, Parker Ehrlich, Lance Waters, Andrew Bryant, Michael Glenn, Warren Smith. 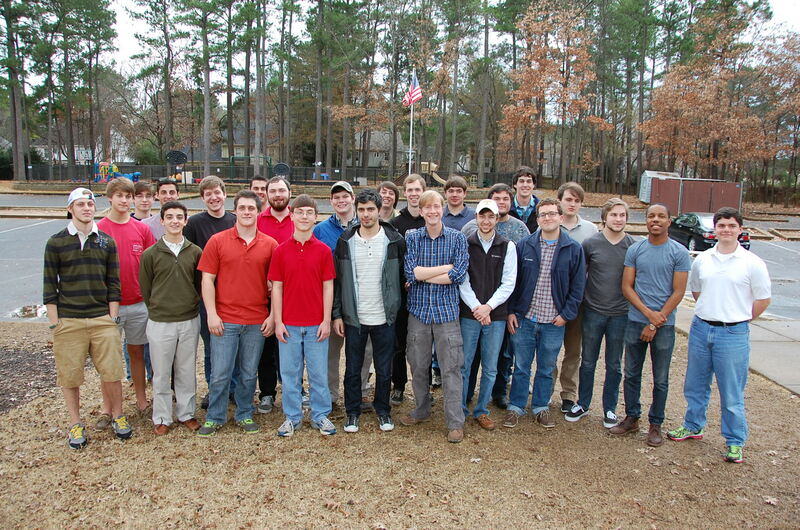 Second Row: Grayson Lee, Nelson Carney, Daniel Gabriel, Nathan Knox, Ryan Agee, Adam Crawford, Joey Redley, Michael Loyd. Third Row: Jeff Crout, Will Kutteh, Donnie Redley, Tyler Roche, Brian Turner. On Dec. 21, 2013 we had our first Troop 368 Eagle Alumni Reunion. Twenty four Eagle scouts (pictured above) joined us to see old friends and talk about what they all are doing since earning their Eagle rank.